“As the national leading body for the long range precision rifle discipline in the United States, the PRS is a member service organization that promotes the growth of the sport the by creating opportunities for shooters and match directors of all backgrounds to participate and advance in the sport through clubs, events and education. TVP boasts a beautiful facility with plenty of organic obstacles, rolling hills and valleys, combined with tricky winds. TVP is a great test of new and seasoned shooters alike. The facility also host the only (2) sanctioned PRS National level matches of the year for the Ohio Area. Thunder valley precision is owned and operated by Tom Sarver who’s experience spans over 20 + years as a long range precision shooter and hunter. 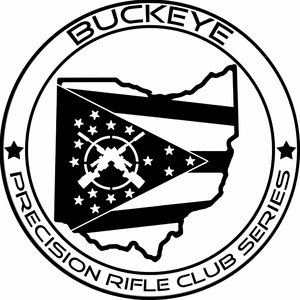 We believe the club series will be a great way for you to check out the facilities and dip your toes into the precision rifle pool before diving head first into a national (2) day PRS event. This year we are also pleased to announce that Area 419 will be the club series title sponsor. Area 419 is a NW Ohio based company specializing in innovative products for the shooting industry. They are most well-known for the Hellfire Brake system and their quality reloading gear. The owner Jon Addis is a passionate precision rifle shooter, gun smith, and mechanical engineer who has dedicated his passion to growing the sport and enhancing the shooting experience with his innovative and quality products. - You will need 80-100 rounds to complete the course of fire if you shoot all possible. I would recommend bringing a box of 100 to allow for zero and any failures. - Velocity is limited to 3,200fps. Competitors may be checked at random. - Bring appropriate clothing for weather. - Bring a decent pair of binos! - There is no pistol in this match, please leave them at home. Thank you for supporting Big Dog Steel. We look forward to seeing you at the match. We will have a few extra mag holsters available for sale at the match, if you need one please let us know.